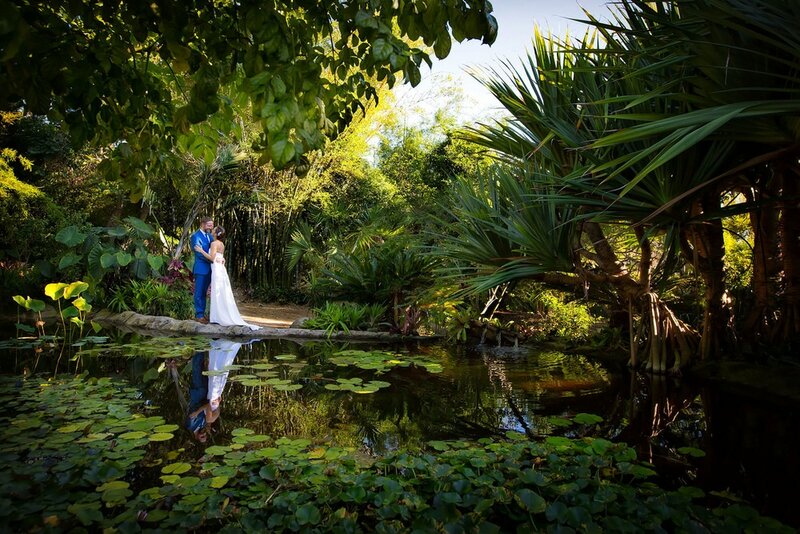 Known for its beautifully intricate landscaping and gardens, Balboa Park is home to some of the best garden wedding locations San Diego has to offer, perfect for the couple that wants to be surrounded in natural beauty during their ceremony. There is no shortage of photo opportunities in these garden locations. Beneath the shade of a vine-covered pergola or hidden within an English-influenced rose garden, you can have the garden wedding of your dreams. These beautiful gardens within Balboa Park are available for small wedding ceremonies and elopements, or they can be incorporated in our other wedding packages. If a beautiful San Diego garden wedding is what you dream of, take a look at our locations and then contact us to start planning!